Advocates for Children Week, October 21-27, 2018, is rapidly approaching, so start planning your club projects! The annual tradition brings together all GFWC clubwomen to make a significant difference in the life of a child. You can support March of Dimes and St. Jude, the Juniors’ Special Program: Advocates for Children Partners who work towards improving the health of babies and children. Consider reaching out to neighboring clubs to collaborate for a project with an even bigger impact. Clubwomen should use the week as an opportunity to ensure that children are protected from harmful situations, have the resources to lead healthy physical and emotional lives, and that there is public policy in place to support them. Want to get a head start on your Advocates for Children Week project? Next week from August 12-18 is National Health Center Week. August 18 is Children’s Health Day, and it recognizes the critical role that health centers play for all the children in the U.S. who receive their primary health care from community health centers. By educating the public on these issues, supporting our healthcare community, and empowering families, GFWC clubwomen can truly make a difference. 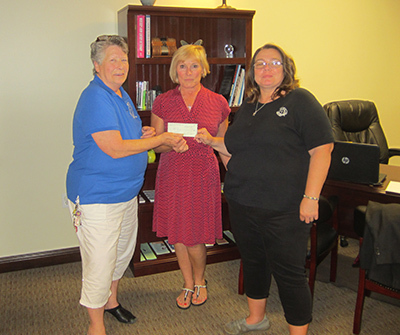 On August 7, GFWC’s #ThankYouTuesday campaign kicked off. Follow @GFWCMembers, GFWC’s Facebook Page, and plan to share your positive GFWC membership experiences. This month’s theme is “New Year, New Attitude.” Throughout August, let us know how GFWC has fostered your personal growth. Check out our new Installation section on Pinterest to see more photos from President Brock’s Installation Banquet at the 2018 Annual Convention in St. Louis! One of the Grand Initiatives for the 2018-2020 Administration is to have 1,000 clubs participate in the Martin Luther King, Jr. Day of Service on January 21, 2019 and January 20, 2020. Each week in News & Notes we will share a new project idea for how you can contribute to your community that day. Take notes on the ideas you like and present them at your club meeting! Depending on where you live, January can be a rough time with ice and snow storms. It can be especially difficult for older people who have trouble getting around safely or who can’t clear off their lawns or driveways. Establish a team of young and able members of your community to provide free snow shoveling services for seniors. Join hundreds of women from around the country on Saturday, November 10 at Baltimore Hilton Hotel for the 24th annual Johns Hopkins Medicine’s A Woman’s Journey conference. 8:15 a.m. – 4:30 p.m. The two keynote speakers will be nurse, breast cancer survivor and humorist Lille Shockney and nurse and associate director of the Center for Global Health at Johns Hopkins, Dr. Nancy Glass. Lillie Shockney will reflect on the thousands of patients she has shepherded through breast cancer diagnosis and treatment while witnessing the evolution of medical research in the treatment of cancers. Dr. Nancy Glass will share her life-long commitment to addressing gender-based inequalities in diverse populations and preventing violence against women in humanitarian settings. Register and listen to these two keynote speakers and select four out of 32 seminars all featuring Johns Hopkins Medicine experts. Open to the community. Register before August 31 and save 10% off of regular registration of $145. Continuing Education Credits available. Are you new to GFWC’s Legislative Action Center or just overwhelmed by all of its possibilities? No worries, GFWC has you covered! The first step is to become an official subscriber. You can do this on the home page of the Legislative Action Center by clicking the “Join Now” button. After completing the requested information (name, address, and email) remember to check the “Email Opt-in” box to receive our alerts. Click the “register” button and you’re an official subscriber but the excitement doesn’t stop there! GFWC will send action alerts to the email you provided during your registration. The most important thing you can do as a subscriber to the LAC is to respond to GFWC’s legislative alerts. At the end of all of GFWC’s emails will be a link to “Take Action.” Click this link and you will be taken directly to our alert on the Legislative Action Center. Complete the requested information, read the letter to your member of Congress, then click submit. It couldn’t get any easier! With your participation, GFWC has a national voice and recognition in the halls of Capitol Hill! Stay tuned for more information on how you and your club can effectively use the Legislative Action Center. 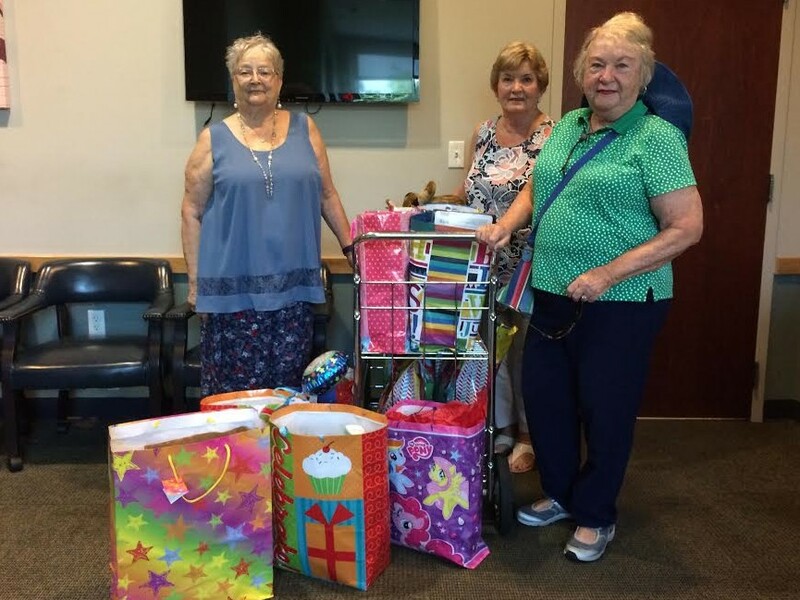 This week’s Volunteer in Action photo is of the GFWC High Springs New Century Club (Florida). To learn about their recent project, check out their new club profile on the GFWC website! Have a story you want to share? Send your photos and a description of the project to PR@GFWC.org to be considered for our next Volunteers in Action member profile. A great folder to have all your essential information about GFWC! 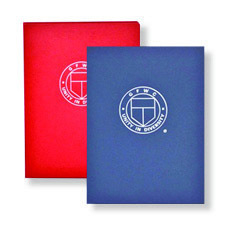 The beautifully crafted foil stamped letter size, two pocket folder features a portrait orientation, GFWC emblem foil stamped on the front cover, rounded corners, standard business card slot in right pocket and two 4 1/4″ v-split pockets. Available for $2 each in classic red or navy at the GFWC Marketplace. 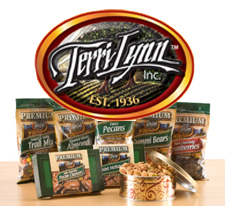 We’ve got everything you need to get started in our Free Sample Kit! If you haven’t yet subscribed to News & Notes, the best source for all things GFWC, what are you waiting for? Signing up is easy and gives you access to timely news items from around Headquarters, our partners, and our work on a national and local scale. Simply provide your name, mailing address, email, and club name to gfwc@gfwc.org and you’re all set! Each year April is National Child Abuse Prevention Month. Kathleen Sweeney, Executive Director/Forensic Interviewer of The Child Advocacy Center of Tuscola County (CACTC), spoke at GFWC Millington Junior Women's Club (Michigan) monthly meeting and told members that 10% of the 235 reported cases of child abuse in 2017 in Tuscola County were from Millington Township, including Millington. It inspired them to take action with the "Color Me Blue" Project.